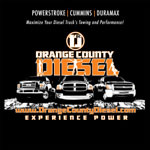 Manufacturer Info: E4OD Stage 5 Package, 1992-94 Ford 2wd Part # 3099523140 1992-94 Ford 2WD Stage 5 Auto Trans Package. Includes: - ATS Built E4OD Auto Trans - ATS 5 Star Viskus Clutch Drive Torque Converter - ATS Extra Deep Transmission Pan - ATS Billet Input Shaft - ATS Co-Pilot Torque Converter Lock-Up Controller - ATS Billet Flex Plate - ATS Billet Intermediate Shaft The Ford E4OD transmission was designed to fit behind various powerplants – including gas and diesel engines. 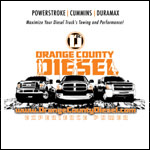 Most failures revolve around the torque of the diesel motor, especially when power is increased over stock. The good news is that the framework of the E4OD allows for substantial increases in reliability and capability. ATS E4OD's feature: ATS Five Star Torque Converter featuring a billet cover, five lock-up clutches, available in either low or high stall configurations ATS billet input shaft ATS Commander Lock-Up Controller ATS billet flex plate ATS billet intermediate shaft High performance overdrive, intermediate and forward clutch packs, with one additional clutch added per section Modified transmission pump to increase line pressure, which provides increased clamping force on the clutch packs Modified valve body that focuses around precise shifts, increase line pressure and increasing the torque capacity of the E4OD New bearings, seals and gaskets New low roller clutch, heavy duty intermediate sprag, bonded coast and overdrive pistons ATS Deep Transmission Pan which adds 5 quarts of fluid over stock, which helps keep the transmission cool The Stage 5 package includes a billet input shaft for increased reliability when towing heavy loads, under modified power levels or street performance. The billet input shaft is designed to withstand greater torsional loads than the factory shaft, thus increasing reliability. The shaft is made of billet 300M material and precisely machined for an exact fit. In addition, we add a lock-up controller for the torque converter on the Stage 5 setup. This allows the user to base lock-up on vehicle speed – in any forward gear. This provides several benefits, including increased fuel economy, lower transmission operating temperatures and more power to the ground, at a lower speed. This feature becomes useful in towing situations and performance applications – where power at low rpm's is desired. For those trucks with an exhaust brake, the controller will synchronize torque converter lock-up with the brake. This will allow the converter to stay locked on deceleration to increase braking force. The Stage 5 features the addition of a billet flex plate. The billet flex plate is designed for high horsepower/torque trucks and those that tow heavy. The flex plate is the first point of power transfer from the motor to the transmission assembly. By using a billet steel flex plate, we can increase the reliability of power transfer from the crank to the converter. We also add a billet intermediate shaft to the Stage 5 package. This is a requirement for trucks with aftermarket injectors, injection pump and turbo. During high torque situations (i.e. racing), our billet intermediate shaft will absorb the torsional loads to transfer power through the transmission. Without a billet intermediate shaft, the transmission is at risk for failure during heavy towing/competition use. The ATS Stage 5 Package is designed for trucks that are used for light/moderate/heavy towing, greater-than-stock power levels and racing/street performance. The transmission package comes with a 5 year / 500,000 mile warranty. For specific applications or uses, contact ATS to discuss learn more about which package is right for you.